Private yoga sessions in the convenience of your home or office, alleviating the stress and time associated with travel and affording you the comfort and privacy you desire. A variety of props and tools facilitate tailored private yoga sessions to fit your specific needs. 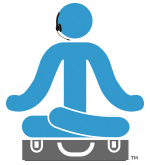 WHY PRIVATE YOGA IN YOUR OFFICE OR HOME? Yoga is the only exercise program that truly addresses the entire body: physically, mentally, and emotionally. Private yoga in your office or home is an individual journey with you and your body to obtain balance and health. The integration of both physical AND philosophical methods of yoga has been shown to have a profound impact on emotional balance and relieve stress. Our issues are held in our tissues: we hold our emotions in our hips, jaws, shoulders, chest, and back as this is where our stress manifests as tight or sore muscles. Lifting weights or running simply does not address this. Thru the use of meditation, breath work and restorative yoga, we can balance the nervous system, relax the physical body, and allow the mind to stay alert to deal with the thoughts and issues of the day. Like cardio exercises, such as biking, running and weight-lifting, your yoga practice can be a cortisol-producing practice which can burn many calories as well as increase muscle mass and strength. Ashtanga, vinyasa flow and power yoga all provide these benefits. Yoga can also be a non-cortisol-producing practice. This type of practice moves the body into a restorative state, and improves flexibility and range of motion while addressing the bones, ligaments, tendons and fascia of the body. A combination of both practices to achieve BALANCE. There is no one-size-fits-all program, and your routine will also evolve as your lifestyle, needs, and environment change. Depression will become the biggest health problem on our planet by the year 2030, according to the World Health Organization. Currently, over 40% of the adult population in the United States suffers from anxiety. Simply put, without a healthy mind, we cannot have a healthy body. With the use of yoga asana, Ayurveda and meditation, both depression and anxiety can be addressed. We strive to give our clients the tools they need to cultivate a self practice and thereby heal themselves. A private yoga practice in your office or home allows us to transfer our focus from the outside world to our physical and mental body, where the roots of anxiety, stress and depression lie. Like conventional medicine, which looks ‘upstream’ to investigate the causes of imbalances, yoga treats the body as a whole, with the goal being to discover the cause of pain, stress and imbalance. Once we address the cause, we can truly heal the body rather than simply apply a short term fix to temporarily alleviate the symptoms. 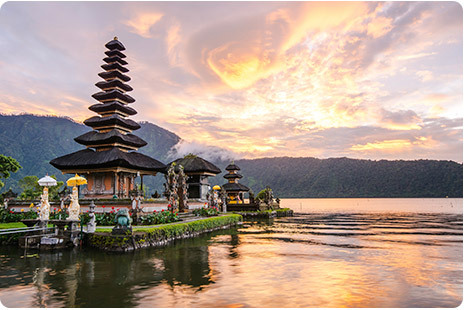 We also offer a boutique yoga travel experience for small groups or individuals, where I will be your personal tour guide as well as your yoga instructor in Ubud, Bali. I am intimately familiar with Ubud and can share with you the wonderful secret places that a casual tourist would never find. I would love to introduce you to this truly magical place.